Plans are well under way for a fabulous PATH Intl. Conference and Annual Meeting to be held in beautiful Bellevue, WA, October 31 to November 3. This is a "Not-To-Be-Missed" event. Everyone loves a great deal and we have one for you! As a way to say thank you to returning attendees and our friends on Facebook as well as members of PATH Intl. Community Connections, specifics and a link to a limited-time offer promotional registration fee will be announced this week and next. The announcements will be made twice: once on the PATH Intl. Facebook page and a second time through the PATH Intl. Community Connections site. So if you haven't already, "like" us on Facebook and join "PATH Intl. Community Connections" today! The savings are significant, so don't wait! Do you have a talented equestrian at your PATH Intl. center? Do you admire a particular instructor or an equine specialist in mental health and learning? Does a special horse, mule or mini that has a priceless attitude call your center home? Do you know of a veterinarian who volunteers at a PATH Intl. center or centers deserving of the PATH Intl. Volunteer Veterinarian Award, sponsored by Luitpold, the maker of Adequan? Now is the time to submit all award nomination for these special individuals and animals. Nominations are due no later than May 15, 11:59 p.m., MDT. Are you interested in being part of this exciting process? 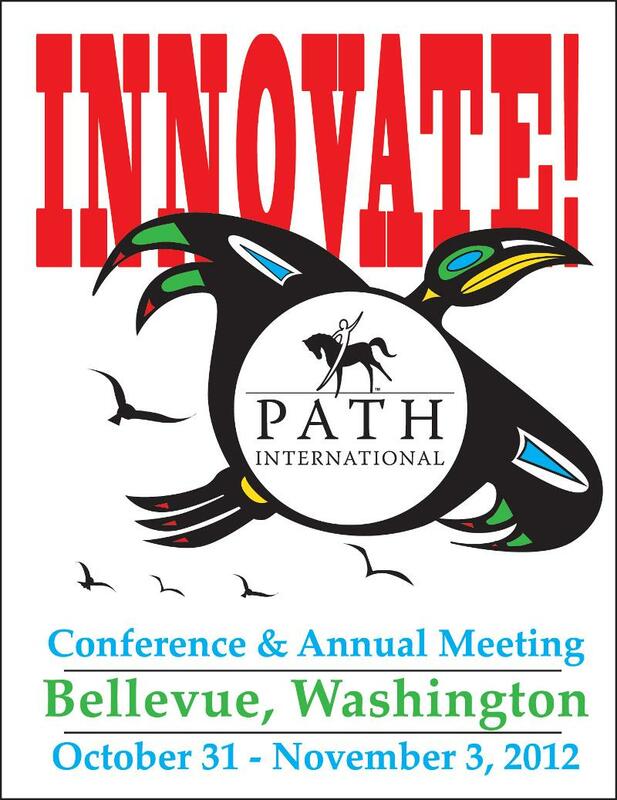 For the first time, any member may apply to be part of the judging process for the PATH Intl. annual awards. We are still in need of more judges! No one has volunteered yet from regions 4 and 10. Click here for guidelines and to volunteer. Interested in getting your business in front of 1,000 EAAT professionals? Exhibit at the PATH Intl. Conference Oct. 31-Nov. 3, 2012 in Bellevue, WA! Save $100 off the standard rate if you reserve your space by May 15. For more information, click here. Questions? 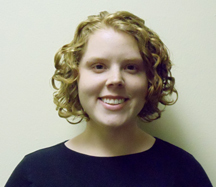 Email Megan or call her at (800) 369-7433, ext. 107. So, you've renewed your center membership but have received a non-compliant letter from PATH Intl. Don't panic! The most common reasons for non-compliance can be easily resolved. Click here for a list of the reasons your center might be non-compliant, and the steps to take to correct the problem and keep your center membership in good standing. If your center has a development director or person responsible for grant writing and fundraising for your center, you can now add that person so they have access to the Foundation Directory Online, a very valuable center membership resource for finding funding. The primary contact and executive director already have access by logging in with their primary email address and password, but if you would like to add your development director as an authorized individual for your center, simply fill out a change notification form with the individual's name and unique email address and return it to the PATH Intl. office. If you have any questions, email Karen Province. PATH Intl. would like to thank our many generous Combined Federal Campaign donors. More military personnel, federal government employees and retirees have donated to PATH Intl. thus far in 2012 than in past years. Thank you for your support of PATH Intl. and EAAT! Rachel Davis is PATH Intl. 's newest staff member. She is in charge of PATH Intl. Community Connections and higher education membership. Email her if you have any questions about becoming a higher ed member or if you have any questions about Community Connections. I joined the PATH Intl. staff in January as a member of the Certification Department, and now I'm ready to move forward with my new role as Membership Coordinator. I graduated from Webster University in St. Louis, MO, with a degree in international relations and international human rights. My education gave me a love of traveling and a desire to learn about and experience other cultures. I have spent time living in Argentina, Switzerland and Alaska; something I never thought was possible growing up in small-town Illinois. I am happy to call Denver and PATH Intl. my new home. When I'm not working, I enjoy discovering great new restaurants, playing with my two very whiny cats, reading and spending time in Denver's beautiful sunny weather. I look forward to seeing all of you on Community Connections! The 2009 Equine Industry Survey completed the largest-ever equine industry survey of 11,171 hands-on horse industry participants in the United States. American Horse Publications will strive to exceed that number with the current 2012 survey. The purpose of this survey is to gauge participation trends and management practices in the U.S. equine industry. In addition, it seeks to gather information regarding the most important issues facing the industry. This is a wonderful opportunity for EAAT to be a part of shaping the equine industry. The deadline for the survey is May 15, 2012. Click here to participate. Sometimes a picture is worth a thousand words. And sometimes a video is worth a thousand pictures. PATH Intl. would like to highlight the great work our centers do and the lives that can be enriched through equine-assisted activities and therapies. Send us the url to your youtube videos and we will spotlight them on our website and on our Facebook page. Send your youtube link to Cher Smith. The Standards Reorganization Task Force is excited to preview the new sections in the upcoming 2012 edition of the PATH Intl. Standards for Certification and Accreditation. You'll remember that due to increased activities and certifications and yearly additions to the Standards Manual, the task force was formed to reorganize the content. While the content remains the same, the intent is to eliminate duplications and create a much more user friendly manual with the publication of the 2012 edition.